A pedagogue not to be missed! Margot Jewell is coming to OSS next week. She will be a teacher/trainer for our faculty, Saturday, February 17 – Sunday, February 25, 2018. This will be held at Rideau Park United Church, 2203 Alta Vista Dr., Ottawa. Margot, for many years was a member of the Hamilton Philharmonic, so I knew her primarily as a violinist. After my ‘retirement’ about 4 years ago I took my first Suzuki Book 1 training with her. I always marvel how well she relates to the very young and her ability to break down complex violin skills and present them to kids in a natural, yet fun, manner. Saturday, Feb. 24th is the workshop day so at the very least, please try to attend Margot Jewell’s Parent Talk/Discussion at 12:30-1:10. It was so great learning that Suzuki loved Mischa Elman’s tone. Elman had the most amazing sound. Elman was quite close to my teacher, George Perlman. Elman would call Mr. Perlman from New York regularly so it was amazing to actually play over the phone long distance for Elman more than once. Perlman had emigrated with his parents at the age of four to the United States where the family settled in Chicago. He received violin lessons from well-known violinists from that period, including Leopold Auer , and he studied law. 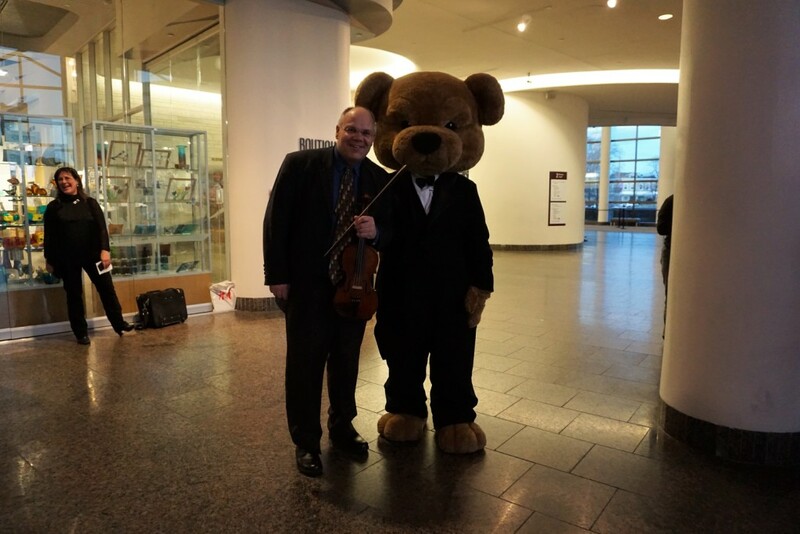 He worked as a lawyer for several years while he also taught violin lessons. Later, the legal profession stopped to fully focus on teaching and performing. He taught 60 hours per week until he was 74. He composed many pieces for his students as a study. Those pieces are still loved by many violin forces. George Perlman died in 2000 at the age of 103. Was Auer the greatest teacher of them all? Leopold Auer is remembered as one of the most important pedagogues of the violin, and was one of the most sought-after teachers for gifted pupils. Many famous virtuoso violinists were among his pupils, including Mischa Elman, Jascha Heifetz, Nathan Milstein, Toscha Seidel, Efrem Zimbalist, Paul Stassevitch, and Sasha Lasserson. Auer also taught the young Clara Rockmore, who later became one of the world’s foremost exponents of the theremin. While Auer valued talent, he considered it no excuse for lack of discipline, sloppiness or absenteeism. He demanded punctual attendance. He expected intelligent work habits and attention to detail. Lessons were as grueling as recital performances—in fact, the two were practically identical. In lieu of weekly lessons, students were required to bring a complete movement of a major work. This usually demanded more than a week to prepare. Once a student felt ready to play this work, he had to inscribe his name 10 days prior to the class meeting. The student was expected to have his instrument concert ready and to be dressed accordingly. An accompanist was provided. An audience watched—comprised not only of students and parents, but also often of distinguished guests and prominent musicians. Auer arrived for the lesson punctually; everything was supposed to be in place by the time he arrived. During the lesson, Auer would walk around the room, observing, correcting, exhorting, scolding, shaping the interpretation. “We did not dare cross the threshold of the classroom with a half-ready performance,” one student remembered. While Auer pushed his students to their limits, he also remained devoted to them. He remained solicitous of their material needs. He helped them obtain scholarships, patrons and better instruments. He used his influence in high government offices to obtain residence permits for his Jewish students. He shaped his students’ personalities. He gave them style, taste, musical breeding. He also broadened their horizons. He made them read books, guided their behavior and career choices and polish their social graces. He also insisted that his students learn a foreign language if an international career was expected. Even after a student started a career, Auer would watch with a paternal eye. He wrote countless letters of recommendation to conductors and concert agents. When Mischa Elman was preparing for his London debut, Auer traveled there to coach him. He also continued work with Efrem Zimbalist and Kathleen Parlow after their debuts. The Suzuki Triangle should not be confused with the Bermuda Triangle. Unlike the Bermuda Triangle where everybody gets lost, the Suzuki Triangle makes sure everybody stays on board and is equally confident in navigating the course ahead. From my perspective as a teacher, the parent is an essential partner in making each lesson successful. A parent’s work with the student throughout the week is a determining factor in the success of the next lesson. The parent is my ally and vice versa. If I do my job, I am able to translate the playful stories, practice cues and tips into tools that the parent can take home and integrate in to the practice routine for the other six days when I am not there. I consider the lesson even more successful when the parent and student are able to tell me how the ideas worked over the week and how they adapted to work for their home practice. I endeavour to raise both skillful students and skillful parents. As a teacher, I am also well aware that practicing at home can be a challenge. 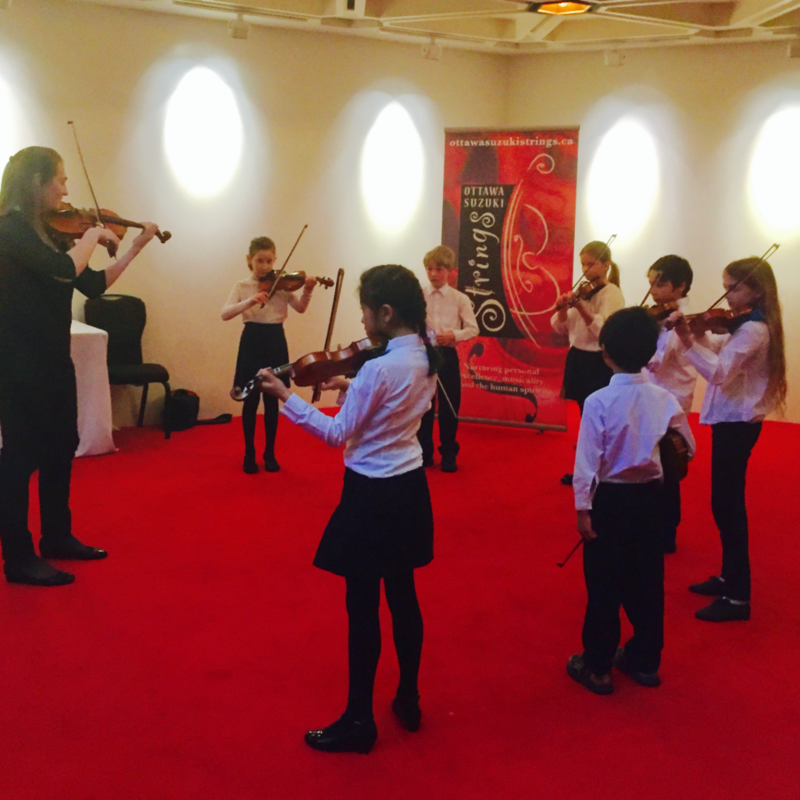 The Suzuki Method puts a great responsibility on parents to be “at home teachers” for their children. Teachers know this job is not always easy. What do you do when your child refuses to practice? How do you get them to practice properly with the posture, bow hold, and intonation points that the teacher will evaluate at the next lesson? How do you handle your own frustration when the suggestion of practice precipitates a child’s meltdown on or off the instrument? What is the appropriate balance between work and play for your child’s music education, so they develop a love for music? And how on earth are you going to fit in practice every day with your already packed schedule and a tired child? 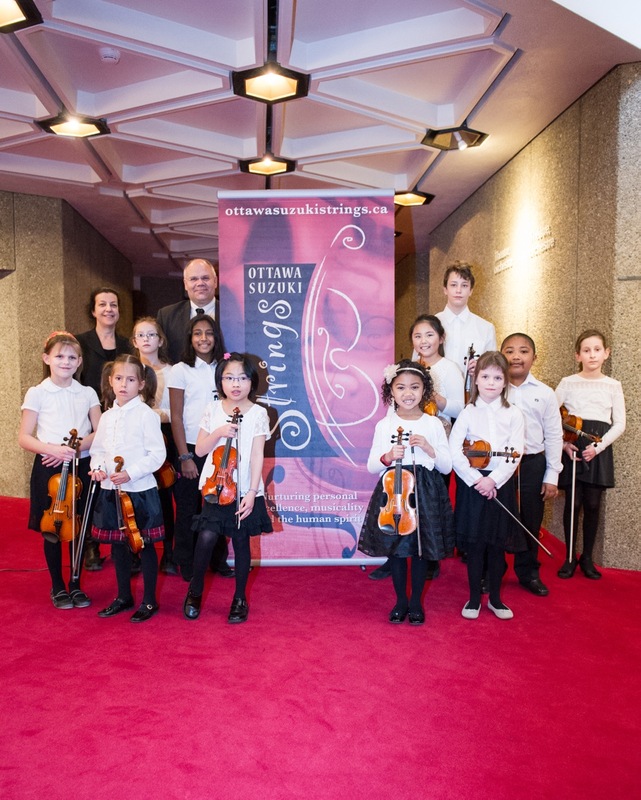 Fortunately, Ottawa Suzuki Strings has a wonderful community for support. Parents can talk to other parents about solutions to common challenges (everyone has been there!). Parents also have access to faculty members who have new ideas and innovative solutions (many of which have been passed along by past students and parents and other teachers). As most of you already know, memorizing music is fundamental to the Suzuki philosophy. Suzuki students are expected to recall a larger and larger amount of musical information as they grow older and gain experience through the process of reviewing older pieces while learning new pieces. It may seem like common sense at first, but when I was first introduced to the Suzuki method five years ago I had never made the conscious connection between the importance of reviewing music and learning new pieces simultaneously as a pedagogical practice, it was just something I did naturally. I cannot stress enough the importance of this duality. I will explain how this continues to be an important daily routine for me after over twenty years of playing guitar. Though there are several applications of memorization and review in a plethora of fields, I will speak to you from the perspective of a professional musician. I have just completed my first semester as a doctoral student at McGill University. These first four months required a delicate balance of scheduling, practicing, performing, recording, teaching and writing. I am required to set short and long-term goals on a daily, weekly and monthly basis to ensure that I stay on top of all my work. I set these targets to prevent myself from getting overwhelmed throughout the course of the year and my musical memory plays a crucial role. Currently I am working on two hours of repertoire for recitals in the spring, all of which must be memorized. Naturally, I have to approach my daily guitar practice with a plan. Not only do I need to attend seminars at McGill and teach nearly twenty students at OSS, but I just finished recording an album of Spanish guitar with Analekta and am currently preparing a doctoral recital of contemporary solo and chamber music. The only conceivable way for me to manage this large amount of music is to ensure that every day I have an idea of what deadlines are looming in the short and long term. As a result, I dedicate a portion of my practice to memorization of new material and then an even larger amount of time to review of recently-memorized material. Once I am satisfied with my progress, I begin reviewing older music and then alternate between improvisation, sight-reading, technique and composing, not necessarily in that order. There is no way to “cram” in music. Musical memorization requires repetition over long periods of time as our brains need rest in order to consolidate the information that has been learned. It takes time for our brains to transfer learned motor behaviours from the short to the long-term memory-centers of our brains. This is why it is paramount that children develop the habit of memorizing from an early age so that it becomes just as normal as all of their other routines. Try consciously making memorization of new music a part of your child’s weekly practice schedule if you aren’t doing this already. If you are, work on bigger and bigger chunks and set more ambitious goals as your child becomes increasingly comfortable. Speak with your teacher about activities that encourage memorization and concentration and implement them as often as you can. I myself am constantly balancing new and old music just like a beginner Suzuki student. What to Expect: Hear individual group performances and the powerful effect of the entire school joining together to make music, from the Pre-Twinkle students to Stellae Boreales, OSS’ senior violin performance ensemble. Meet the gifted faculty of Ottawa Suzuki Strings during the Potluck following the Playdown. 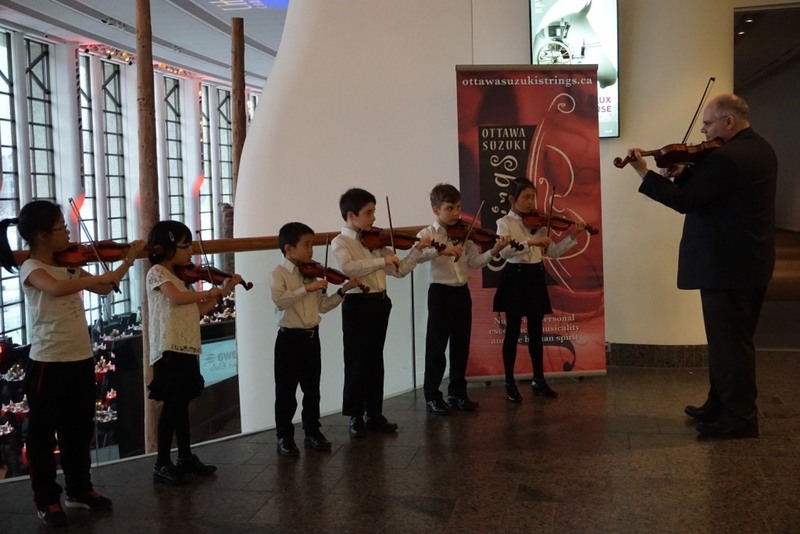 On Monday, March 20, Ottawa Suzuki Strings had the distinct pleasure of hosting the music director of the National Arts Centre, Maestro Alexander Shelley. 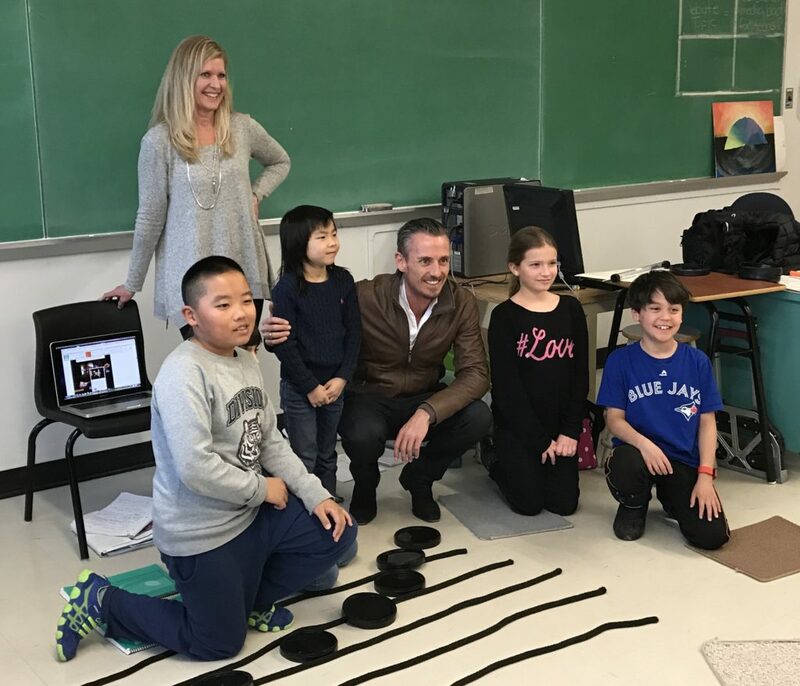 Maestro Shelley carved time out of his extremely busy schedule to come to OSS and meet the children in our school, from the beginning Book 1 students to our advanced performance groups. It was quite special to see Maestro Shelley work his magic. I had the privilege of watching Maestro Shelley as he led some very engaging discussions with the Rhythmic Reading students, singing with them to help them understand how vital phrasing is. He spoke about the role of the conductor and how a conductor’s role is like being the driver of a race car as well as the mechanic who has to fine tune and tweak the engine to get it to go where he wants it to go. He explained how a conductor can help the orchestra create something unique and beautiful by studying and understanding what the composer intended for the music. Maestro Shelley met with our guitar students and with a violin group class and the Fine Tuners before joining Stellae Boreales on stage with more of his dynamic conducting. The National Arts Centre and, in fact Ottawa, is very fortunate to have someone like Alexander Shelley at the helm who is inspired to make music accessible and is interested in youth being engaged in music. 2017 will be an awesome time to introduce your children to one of the upcoming NAC concerts. 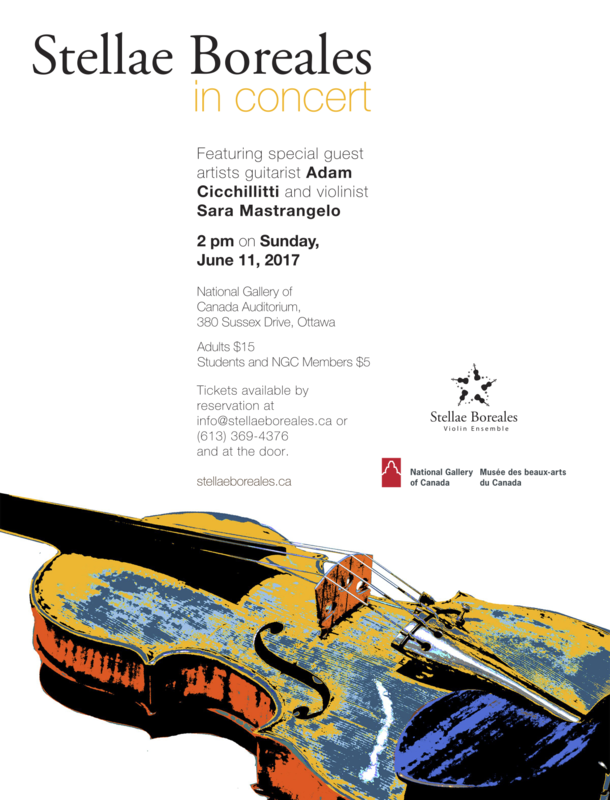 You will see concerts built around themes, and visuals complementing music, there will be opportunities to hear modern Canadian composers and beloved classical composers as well as combinations of all genres of music. I have included a link to an excellent Ottawa Citizen article that includes not only an interesting biography of Alexander Shelley but also a great explanation, with video clips, of his task of conducting (Conducting 101) and a little about his philosophy of music and his vision for music in Ottawa. We woke up today realizing half of our trip had already passed. The Stellae gang woke up and had the usual breakfast at the hotel. After breakfast we went to Northlands School for our second performance of the trip. When we arrived, we were surprised to see hundreds of little students, squirming through the auditorium into their seats. Since the auditorium was stuffed to the teeth, we were all very hot. With sweat streaming down our arms and legs, our hands were extremely sweaty. They were so sweaty that when we tried to shift to second position, our hands resulted in slipping to 8th position. Despite the odds, we managed to pull it off, and the crowd of primary and senior students thoroughly enjoyed it. Northlands School then kindly had us for lunch. Many Stellae members enjoyed pasta, chicken, and rice. During lunch some Argentinian chicos asked us to do a quick interview on the northwest passage in Canada. Joel volunteered to do the interview partially because he was the only one who knew the answers to their questions. After lunch at the first school, we bussed to the second location of the Northlands School. We enjoyed playing cards and socializing on the bus. We were then guided to our warm up room to prepare for our second concert of the day. Before we played we got the opportunity to hear Northlands School orchestra play a few songs. It was really interesting for us to hear another ensemble from the other half of the world. Then it was our turn to play. The concert was a success! The crowd was very supportive and enthusiastic. After the concert there was a brief Q and A. The students were able to ask us questions about us and the violin. Some of the questions were: “when did you start learning the violin” “how do you feel when you play the violin” and “how long do you practise a day”. The questions allowed us to further understand ourselves as a violin player. After the concert we headed by bus to the Canadian Ambassador to Argentina’s house. On the bus ride, many Stellae members sang a Capella style to our Stella repertoire. I could say we harmonized nicely, and it was a fun time. The bus ride also included a game of president and the braiding of Devon, Sofi, and Jezlyn’s hair. We finally arrived at the house, and we discovered it was incredibly beautiful. The inside was decorated with elegant furniture, but the backyard stole the show. It was equipped with a swimming pool, a trampoline, a soccer field, and badminton and volleyball nets. Truly a kid’s paradise. Stellae enjoyed using these activities, eating a delicious meal, and mingling with the ambassador and his family. Sadly it was time to go back to our hotel. When we got back to the hotel we all played some cards against humanity which was a hoot to say the least. Then we all went to bed, thinking about the great day we had. Tonight, many of us went to the tango show at Cafe Tortoni, the oldest cafe in Argentina. It was supposed to be all of us but unfortunately there was a protest and none of the taxis with the girls could make it! The guys were there in full force. It was a beautiful show. 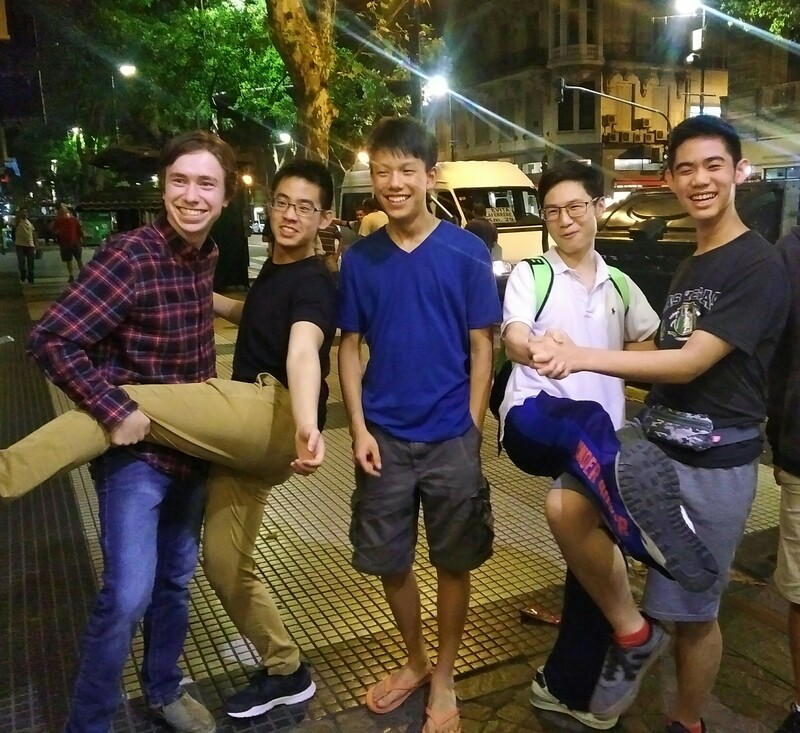 Afterwards, outside, the guys were inspired to strike poses they saw in the tango show! Their performances of tango music will be so informed after this! Cafe Tortoni management very graciously offered to let those who missed tonight’s show see the show Thursday evening. They are in for a treat! After this first exposure to authentic Argentine tango, we are looking forward with great anticipation to a tango dancing class later in the week at La Viruta, a milonga in Buenos Aires very popular with Porteños and visitors. Today was an interesting day; we had a chance to visit the downtown shopping street, Florida Avenue. To get there was possibly the longest taxi ride of my life. Although the distance to downtown is only around 7km away, it took us 1h to get there because of traffic. Our taxi ride was quite terrifying since Argentinian traffic does not follow the same order as Canadian traffic. As Daniel put it, our drivers seemed to be driving in “all lanes at the same time”. Blinkers were never used to change lanes and lane markings were merely guidelines. As for Florida ave, the narrow walking street was fairly busy, lined with expensive clothes stores such as Nike and Adidas and sprinkled with small kiosks selling souvenirs. Every few metres, a person would shout, “Cambio, cambio!” – change your money. We walked into the the Gallaria, a shopping mall. Its Victorian architecture fit in with the rest of the buildings around it. In the centre of the mall was a Sistine chapel remake and a fountain. There were many familiar stores to us such as Timberlands and Lacoste, but to our dismay, they were a great deal more expensive than in Ottawa. For lunch we had delicious empanadas and for desert a few of us went to Freddo, an ice cream chain that almost tops Stella Luna for the “world’s most expensive ice cream” award. The smallest size is very small (2/3 the size of a Stella Luna small) and costs $6CAD. We walked around a bit then attempted- and failed- to hail taxis outside the shopping mall for all 20 of us. A few people managed to get taxis and the rest of us headed to a bigger street and successfully got taxis. At the hotel, we rehearsed our pieces and went swimming. Today was the warmest day so far 26 degrees in the afternoon. Dinner was pizza at the Kentucky pizzeria, that we went to on Friday. Ordering skills have greatly improved since Friday, most of us can get by ordering food with minimal help from Sofi. After dinner came quite a strange ordeal. Arlene, Minh Anh, Sofi and I got into a taxi, on our way to a tango show. 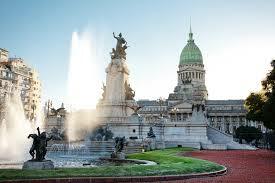 The show was downtown, close to the “Casa Rosada” (Argentinian Parliament). Two taxis had already left (an all boys taxi and the Rentenaars). As soon as we got into the taxi, the driver started rambling at us in Spanish. Sofi was quick to translate: “he says that all the roads to the tango cafe are blocked!”. We kept talking to him and eventually understood what was going on: there was a protest going on downtown that was blocking many the main street (Avenido 9 de Julio). “Well can’t we walk?” we asked. The answer, to our dismay, was no, the rioters were too violent. He warned us that the protesters would cut our bags open and steal our phones. We decided to turn back, and met a few others at the hotel. As it turned out, the boys’ group and the Retenaars had made it there safely, and had walked a few blocks to the cafe when the cabs could no longer get through. At the hotel, those of us that were left (aka all the girls) gathered in Sarah’s room for a girl’s card game night. We drank matte (traditional Argentinian tea), ate snacks and talked. Although we are sad that we missed the show, the tickets Judy (who was at the show) managed to change our tickets so that we can go Thursday night, so at least we are not missing out. (Now begins a part written by the boys who went to the show)The tango show was nothing short of spectacular. It was a great way for us to explore the Argentinian culture and traditions. On the way back to the hotel, the stellae guys took taxis, which led to the “epic taxi race” between the senior stellae guys and the intermediate stellae guys. The taxis were neck in neck all the way to the hotel. Once the taxis got to the hotel, all the guys sprinted out of their taxis, and ran up the stairs at such a fast rate to see who would get to the ninth floor first. In the end, the senior stellae guys came on top as Austin took the elevator instead of walking. They celebrated by taking the W and think that the intermediates are sore losers. We started the day with breakfast at the hotel before having rehearsal at 9:00. Our rehearsal was supposed to be outside, but unfortunately the winds were too strong, thus we had to move indoors instead. During the rehearsal we reviewed mistakes that happend during yesterday’s performance. After the rehearsal, we returned to our rooms to prepare for lunch. When Joel, Adam and Aaron had opened their door to their room, we were greeted by a room service maid, spewing spanish like fire. All the boys were flustured so Adam said: NO HABLO ESPAÑOL!!! She responded in spanish. Afraid that we were inturupting we left the room. Later, we left for lunch at 11:45. We headed to nucha for an exquisite pasta lunch. During our time there, we had the pleasure of listening to Felix sing the Chinese anthem. After lunch we headed back to the hotel before embarking on our 6 hour long tour of the city. The buses arrived at 1:00 and thus we started our 6 hour journey. While on the bus, our tour guide explained the city’s system. We learned about how few people live in Buenos Aires. Instead many of the people on the streets are from outside the city. Our first stop was Rosedal park. There we saw a variety of life forms, from enourmous trees to beutiful wildlife and plants. Taking advatage of our time there, we explored numerous places in the park. We attempted to talk to the ducks but unfortunately no hablo español. After the great scenery and life, we headed to the pilar church. There we admired the large amount of traditional christian art while maintaining a respectful attitude. Following our trip to the chruch, we headed to a very large cemetery. Entering the cemetery, Aaron was called out by a police officer. Joel, as a good friend told the police offficer, “No hablo español” , the police officer was intimidated by Joel’s broken spanish and ended up letting them go. Both Aaron and Joel quickly ran away. After rejoining the group, we quickly ran through the maze of the tomb houses. While wandering the maze, we noiticed a knock on a tomb house. Intrigued by this, Aaron knocked. The creaking of the door spooked all of us and ended with 6 teenagers running from a creaking door. Finishing the journey through the maze of tombs, we then proceeded to the market, where several of us bought souvenirs. While walking down the street, we happend to come across a very muscular image. The glistening muscles in the picture quickly clicked in our head as we immidiately thought of Austin’s grandé muscles. After the quick trip to the market, we headed to the barcelona stadium. Unfortunately the price to enter the stadium was very expensive, turning many people away. Inside we had a great view of the soccer stadium. During the time at the stadium, Joel left his water bottle there. After the visit at the soccer stadium, we headed to the flea market where there were several muscians and shops. After regrouping from shopping, a Stellae Boreales member had their phone stolen. This is a reminder to us that as we are in a forgein country, we have little to what we may expect, such as the loss of technology or personal information. Next we headed to the Casa Rosadale, where we witnessed a stunning performance by the guards of Buenos Aires, thus concluding the 6 hour tour. Arriving back at the hotel, we then headed out for dinner at Rio Alba. When waiting for the enourmas platters of meat, Adam feasted on the large pieces of bread. When the main course came, we all dove into the pile of meat but resulted in only half of what we ordered, eaten. Only Adam with his monterous appetite was still breaking down on the rich, juicy pieces of meat. All in all the day was great, as we had the opportunity to explore the city and eat exquisite food. To plunge into our brand-new day, we ate a satisfactory breakfast. Although most of the items were sweet, it was filling enough for a few hours until we would eat a lunch. After breakfast, we practiced our Stellae repertoire for about an hour and a half for our upcoming concert at the Villa Casa Central. Following the rehearsal, many of Stellae’s performers practiced their pieces to improve on what was reviewed during the rehearsal. By high noon it was time for lunch. All of us walked to a plaza to eat and look around. We all ate delicious tacos and quesadillas from a taco stand called Urban Taco. While we were eating, many piegeons lurked around us, attempting to take our food. Fortunately, Austin bravely fended them off with his grande muscles. Felix then proceeded to befriend a particular pigeon. Both Felix and the pigeon felt a deep connection between eachother. Felix named his newly found soulmate Pigeon. They had their sweet honeymoon next to our table, in which we were eating at. After their honeymoon and our tacos, we continued our adventure and discovered a marvelous ice cream shop, Freddo. The ice cream was so delicious almost as if it were fit for a king, making all of us want more. Unfortunately we had to head back to the hotel. Arriving back at the hotel, we had some free time. Many of us proceeded to enjoy the beautiful weather in their outdoor pool. Devon, walking out onto the balcony for some fresh air, observed people swimming in the pool, while engaging in a conversation with those above and below his floor. Austin, Aaron, Adam, Felix and Joel explored the rest of the hotel as they ran up several flights of stairs. At the peak of the paramount, we came across the gym and strolled inside. Checking out the exercise equipment, to our amazement, we discovered that Austin really is the strongest of us. Lifting 200 pounds with his legs, Austin proved to us that he is superior. Some of the Stellae ladies swam in the pool, whereas others took time to relax, read and rehearse. By 3:00 everyone was preparing to head out for the performance at Villa Casa Central. Being greeted by many police officers, we entered la Villa Casa Central. After fifteen minutes of practicing, we were ready to preform at the best of our abilities. The Canadian ambassador also came to see us while we were practicing. Entering the stage, Joel noticed both of our bus drivers in the audience. The ambassador introduced us as a Canadian chamber music ensemble and we began our concert. The concert as a whole was not perfect but it was adequate. We all played our hearts out and our notes were filled with zeal, emotion and affection, hypnotizing the audience in an unbreakable, yet beautiful trance. After the performance was over, there was a reception in the main hall with cake, and soda. A young girl signaled Joel to come over. She quickly spoke a few words in Spanish. Unfortunately, no hablo espanol :(. Flustered by this, Joel quicky asked Sofi to come over to translate. She then helped the young girl follow us, Stellae Boreales, on Facebook. Before heading out to the buses, two girls came up to Austin to take a picture. After many seconds of intense scientific analysis, we concluded that Austin’s GRANDE muscles were the cause for the girls’ attention. Leaving la Villa Casa Central we left a great impression on the audience, creating unforgettable memories. On arrival to the hotel, we found out we couldn’t eat at the hotel. Instead, we walked two blocks and ended up at a restaurant named Nucha. The restaurant was very clean and the staff was nice. 10/10 on TripAdvisor. In addition, the food was absolutely heart-warming. They were serving beef, chicken and something else. It was so well cooked that we all cried in joy. Also, the guys had another great conversation, talking about Austin’s GRANDE muscles. For dessert there was apple cake, lemon cake and some chocolate thingy, joined by strong shots of espresso. By 9:30, everyone was still up so we all grouped in Alan’s room to play CAH. We can all agree it was a good time but the joy ended shortly when the parents told us to go to bed (feels bad man) :(. By then everyone seemed to be tired so they headed back to their rooms to recharge for another day. All in all, the day was great. Everyone seemed to enjoy themselves and the food was absolutely amazing. It was a day full of fun, laughter, exploration and Austin’s GRANDE muscles. Last but not least we would all like to thank the chaperones and our coaches for a great time so far. We are all looking forwards to a new dawn and creating more unforgettable experiences. Stellae Boreales in Buenos Aires! This adventure starts on a Thursday afternoon in Ottawa. Everybody arrived at the airport around 4:30 and after a bit of confusion about where spare strings were to go, goodbyes, (and pictures of course) we were off. After a short flight to Toronto, we had an extended wait in Toronto before our next flight. During this time, people looked for food, mingled, and even did homework (shameful, I know). We then got on our second of three flights, to Santiago, Chile. While some of us watched movies and shows for the duration of the flight, others tried to get as much sleep as possible. Nevertheless, we arrived in Santiago in good time, and then waited for a little while to get back on the plane to head to Buenos Aires. The flight from Santiago to Buenos Aires was pleasantly shorter than the one to Santiago. Once we arrived in Buenos Aires, we soaked in the sun and the heat, which we had forgotten actually existed. We then took a shuttle bus to the hotel where everybody was dozing off. After a quick stop to check out our rooms, we headed out and walked to get some pizza, where Aaron attempted to order the pizza in Spanish, which was comical to say the least. After dinner, we headed back to the hotel, and I now listen to Felix and Austin practising and the busy night life outside as I finish writing this blog. But it’s safe to say, that after 24 hours of travelling, we could all do with some sleep. These days parents, especially with younger children, are often reluctant to make the trek to the NAC to hear great live music. There is a wonderful orchestra here in Ottawa. The concert experience can be so very stimulating for a youngster. Make sure your child is old enough to enjoy the music, sit quietly and give it rapt attention. For a family experience and a change of pace how about a weekend trip to Toronto, Montreal or Buffalo to hear their large orchestras or hear the COC? Instead of booking a cruise or going to Disneyland, book the same amount of time and go to New York to absorb the great art and music making!!! 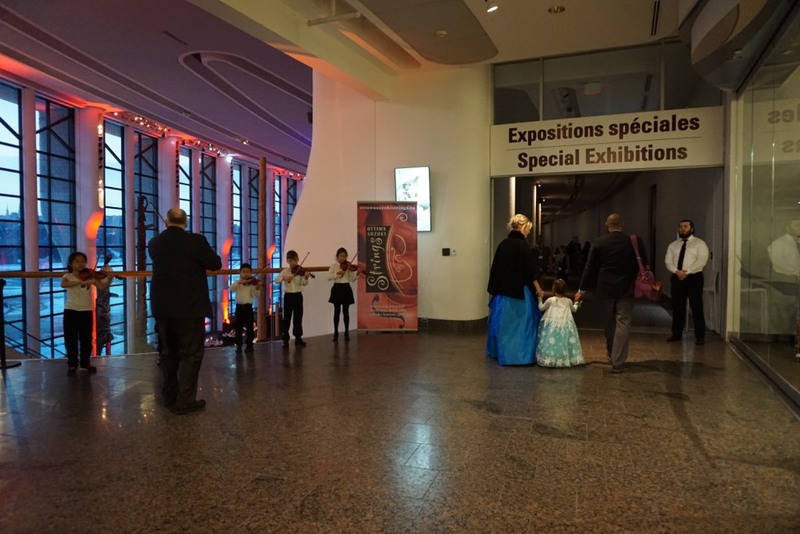 The entire art immersion experience (concerts, art galleries, dance and theater) can produce unforgettable memories to our young Suzuki players and their parents alike. I was very fortunate to live relatively close to a great city when I began my study. Because we lived only 120 miles away (one way) my dad made a huge effort to find the best violin teacher he possibly could. This also meant his extraordinary commitment to drive me to my lesson every week. Today I truly appreciate his interest, sacrifice and joy in helping me become a musician. After lessons and Chicago youth orchestra rehearsals we would often go to an evening concert in Orchestra Hall. How exciting to hear Milstein or Oistrakh play in recital or with the Chicago Symphony. I have never forgotten these concerts. We live in a wonderful age of “apps”! I like “ins tuner” for pitch and Pro metronome for rhythm. There are many other wonderful ones available for cell phones or PCs. Of course, Korg has an amazing line of products as well as Dr. Beat. The tone with which to compare one’s pitch must be loud enough for the student to hear properly. I just bought a new Korg tuner for the studio and all the students today noticed it and asked me about it. The sound it produces is LOUD and suitably annoying for tuning —a win win. I expect parents and students to embrace these tools that with daily use yield technically proficient results.